FIG Commission 2 on professional education is challenged by the need to address course themes from a broad spectrum. With major attention on teaching Building Information Management (BIM) on the one hand and training in ‘Holistic Thinking’ on the other hand. For the FIG Working Week in Helsinki a special session could be dedicated only on BIM. Distance and online education continue to be crucial particular for continuous professional development. 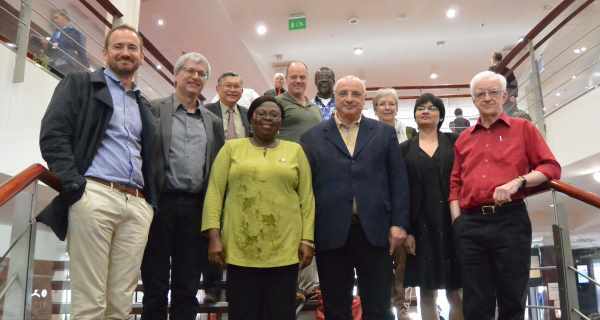 The Academic Members present at the FIG Academic Members Forum decided to form a working group with the aim of exploring the VGGT from a surveying (and land professional) perspective by assessing practical examples of VGGT implementation in different countries. The outcome of this exploratory research could eventually result in a position paper. The working group intends to present the first outcome of their exploratory study during the FIG Working Week in Helsinki. This initiative is supported by FAO. making her report to the General Assembly. Participate in the giCASES survey on collaboration in GIS&T education! FIG Commission 2 – ISPRS Kathmandu Workshop a great success! Kathmandu, Nepal, was from 25 – 27th of November 2015 the host of the International Workshop on the Role of Land Professionals and SDI in Disaster Risk Reduction in the context of Post 2015 Nepal Earthquake. What started as an initial idea for a possible FIG Commission 2 Workshop resulted in a large joint event together with ISPRS Technical Commission IV, and was supported by FIG Commission 7. All accepted papers will be indexed in Scopus. Ir. 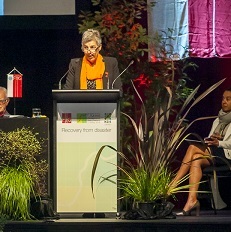 Liza Groenendijk (E.M.C), Chair of commission 2 making his report to the General Assembly Commission 2 had its annual meeting during the FIG Working Week 2015 in Sofia, Bulgaria, 17-21 May 2015. The Forthcoming FIG Commission 2 Workshop 2015 in Kathmandu, Nepal "International Workshop on the Role of Land Professionals and SDI in Disaster Risk Reduction: in the Context of 'Post 2015 Nepal Earthquake" is a joint event of FIG Commission 2 and ISPRS Working Group IV/4 together with the Nepal Institution of Chartered Surveyors (NICS) and the Nepal Remote Sensing and Photogrammetric Society (NRSPS).